Some lives matter more. So it would seem. This past week two black men, in Louisiana and in Minnesota were killed by white police officers in images gone viral. In reaction five police officers in Dallas who were simply doing their job were killed by a black sniper. These and other high-profile race related killings and riots across the nation has stripped white folk like me of the illusion that we live in a color blind society. We are beginning to understand what our black and brown sisters and brothers have always known. America is a fragmented society that allows for the subjugation of people of color. In the era of a black President how can this be? Look no further than the prison industrial complex. The prison system is lucrative. Both private and public entities run our jails and prisons. Tens of thousands are employed to control the population, contractors are hired to build and maintain these facilities, vendors sell millions of dollars of products. This industry is built on the backs of people of color. Let’s look at the facts: From 1926 – 1970’s the U.S prison population was static per 100,000 people. However in the 1970’s a dramatic change took place. A war on drugs was announced. Why this war was declared is fodder for another article. In truth drug use hadn’t increased dramatically. But it helped politicians to get elected under the banner of ‘tough on crime’. ‘Three strikes and your out’ laws were passed taking discretion out of the hands of judges. People received harsh sentences for non violent crimes. Most were people of color. It began with President Nixon, accelerated with President Reagan and a record number of prisons built under President Clinton. Over these last 40 years the prison population has risen 500%. 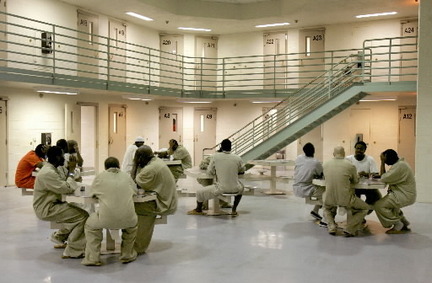 58% of these prisoners are people of color. The vast majority of prisoners of color are in jail because of non violent drug related offenses. Let’s be clear prisons are not corrective they are repressive. Prisons with few exceptions are intended to break and control the spirit of those incarcerated. They are punitive, dehumanizing places. Each year approx. 650,000 prisoners are released to their home community. 78% within a few years will return to prison thus ensuring that the prison industrial complex continues to make money. Why? The difficulty in finding jobs. The fracture of families while apart. The lack of resources to help people reintegrate into their communities. With few if any options prisoners reoffend. The impact on young black and brown lives and upon their families and communities is heart breaking. White folk don’t generally understand this. We think justice is fair. We think the police are our friends. 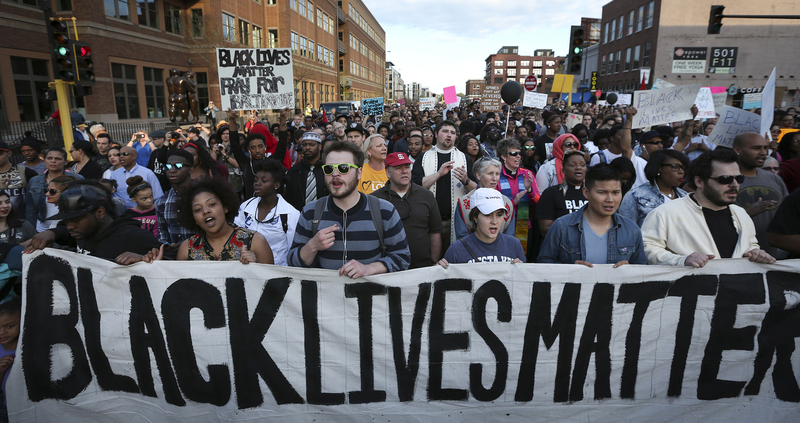 When we hear the phase ‘Black Lives Matter’, we shake our heads…perplexed and perhaps offended. We say, ‘All Lives Matter’. But people of color understand that in America, ‘some lives matter more than others’, particularly ‘white lives’. The current tension between police and communities of color is a result of this systemic tension. It is not the police officer who creates this disparity. He or she is often an honorable person working within an unjust two tiered justice system. This system is in place because the majority of white folk like me are ignorant or indifferent to our corrupt justice system. Where is the hope? I believe this time of heightened racial tension can be the catalyst for a serious, prolonged, substantive, soul-searching conversation as a nation on the impact of racism in our society. I find it hopeful that many of the young people gathering for Black Lives Matter events are people from all races. They are calling all of us, particularly white Americans to live into the dream of Dr. King ‘that one day my children and your children will be judged by the content of their character rather than the color of their skin’. To make that dream come true we must first acknowledge that in America some lives matter more than others. Only until we recognize this disturbing truth can we truly become ‘one nation under God with liberty and justice for all’. Note: For white readers who want to join me in being reeducated on matters of race, I recommend reading: ‘The New Jim Crow’ by Michelle Alexander; ‘Between the World and Me’ by Ta-Nehisi Coates. Hang out with people who are different than you. Ask questions and listen.